Didier Drogba is to be offered an exit route from Chelsea, in the form of a transfer to La Liga club Malaga. The Spanish side are owned by super-rich Sheikh Abdullah ben Nasser Al Thani, a member of Qatar's ruling family, and he has told coach Manuel Pellegrini (previously linked with the vacant manager role at Chelsea) to put together a wish list for the summer transfer window. Pellegrini has asked for Drogba and Malaga officials are now planning a bid. 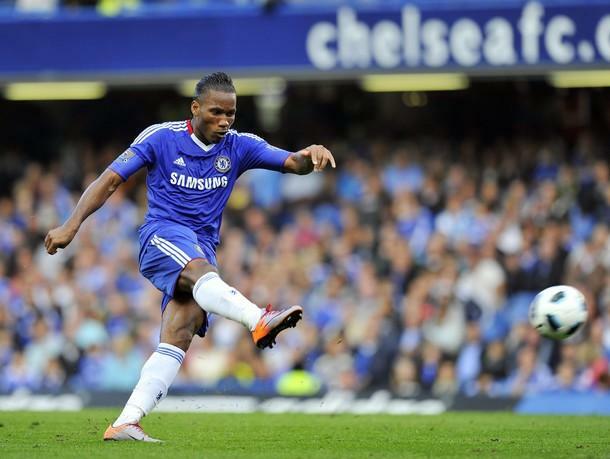 Drogba endured a poor season by his own high standards last term and scored just 11 Premier League goals. He was hit by Malaria in the early part of the campaign and then appeared to be unsettled by the arrival of Fernando Torres from Liverpool in January. Malaga hope to exploit the uncertainty to tempt the 33-year-old to Spain – with the help of a massive contract. They have already proved they are capable of using their owner's riches to attract top stars to La Rosaleda, by signing ex-Manchester United striker Ruud van Nistelrooy and France midfielder Jeremy Toulalan in recent weeks.